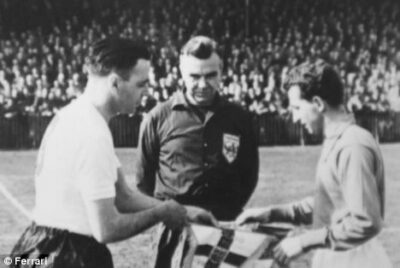 Bishop Auckland FC are saddened to learn of the death of ex captain Tommy Farrer, Tom died at the age of 94. Famously Tom skippered the Bishop Auckland team which took on a barefoot Nigerian X1 at the town’s Kingsway ground in 1949. He played for the Bishops from 1945 to 1953 and was hailed as one of the club’s greatest players. During his time with his former club, Mr Farrer won eight amateur international caps. Tom played for numerous NL clubs in the south of England, and also represented Great Britain at the Summer Olympics in 1956. Tom was a southerner who was based at Barnard Castle serving in the Armed Forces during World War 2, he married a local girl Gladys and lived in Princess Street in the town where his daughter was born. Everyone at Bishop Auckland FC would like to extend their condolences to Tom’s family. The club will hold a minute’s silence at the next home game versus Heaton Stannington on Wednesday 22nd November. Anita, I am sorry to hear about your Dad’s passing … for the second time!! (you must know the story?) I am an Olympic historian and statistician and would be gratefiul if you could advise me the date and place of Dad’s passing. Thank you in advance, particularly at this sad time. Thank you very much indeed for taking time out to reply, particularly at this tough time. I presume you meant that Dad died on 16 November and not December. 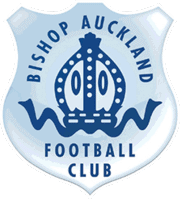 I started watching football in 1957 and, whilst I never saw the great 50s Bishop Auckland team play, have vivid memories of reading about them and their stars of that era. Despite being amateius, many of their players were better known than some of the professionals of the day.